Have you started to feel that you are stuck in a rut in your daily life? Do you need to make some changes, and you are not sure what to start with? Are you craving new experiences? Whether you would like to zip line the Via Ferrata or order an authentic pizza Margherita in Rome, all of the fresh challenges you would like to experiment will help you grow. Travel is the best way of testing your strengths and weaknesses and improving yourself. Once you will get out of your comfort zone, you will meet your real self and gather a lot more energy, optimism, and even a boost of confidence. You can start with a trip around the country if your budget is not yet ready for a more expensive vacation. And because every road trip requires a decent amount of planning and a cool playlist to accompany you, here are a few of the best songs to listen to while driving across the country. What Are The Best Road Trip Songs? So you have been planning your trip around the country for a while now. You know exactly what you want to pack, snacks included. You’ve booked all the hotels and you even wrote down your itinerary. You don’t want to skip The World’s Only Corn Palace in Mitchell, South Dakota or the Museum of Bad Art in Massachusetts. Who could resist a room full of psychotic surrealism, and bad taste overall? But what about tasting the best pizza in the U.S. which is in…drums, please! Little Italy, a neighborhood in Boston. No, it’s not New York, as you might have thought. According to millions of pizza restaurant reviews analyzed by TripAdvisor, Regina Pizzeria appears to be the place to go if you absolutely love pizza. So make sure to add Boston to your itinerary and bring an appetite! Focus on country music. It is, by far, the most popular music people listen to when they get behind the wheel, especially long distance. The stories that most of these songs tell are related to traveling through small American towns. Just think of Willie Nelson’s “On the Road Again” song where the artist expresses his love and joy for being on the road, going places where he’s never been before, seeing things that he has never seen before and playing his music. If you are already familiar with the song, make sure to add it to your list; if not, check it out right now. “I’ve Been Everywhere“ by Johnny Cash is another good example of a good song that will perfectly match your desire to travel places. You could, in fact, inspire your travel itinerary based on the song. Cash gives us the names of all the places he’s been to while toting his pack “along the long dusty Winnemucca road”: Reno, Chicago, Fargo, Minnesota, Buffalo, Toronto, Winslow, Sarasota, Wichita, Tulsa, and the list goes on. Another excellent song that deserves a spot on our list is “King of the Road” by Roger Miller. If you prefer more modern music, you could try the Zac Brown Band and their song “Highway 20 Ride”. “Leaving on a Jet Plane” by John Denver could also accompany on your next trip, especially if you plan on flying somewhere. No matter how short or long your planned trip might be, make sure you double check that your car is working fine. Stop by your regular car shop and have your mechanic inspect your engine, oil and fluids, brakes, and everything else that needs a checkup. Since you will be traveling along with your IDs, cash, credit cards, camera, clothes, and other valuable items, you will need your car locks to be working in pristine condition. 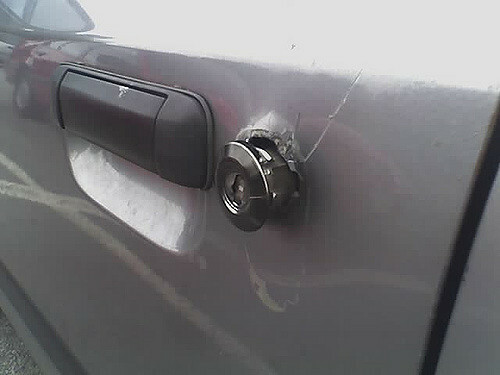 Talk to a local automotive locksmith and have your door and trunk locks checked repaired, or replaced if needed. See that your key fob is working fine and verify the battery on it, or you may risk getting locked out of your car. While you can contact an emergency locksmith near me online and fix any lock or key emergency on the spot, it will save you a lot of precious time to have everything turning smoothly and hassle-free. See that you carry a spare key on you at all times, so you can rely on it in case of a lockout or a broken key fob.